Most Rev. Arturo Cepeda, STL, STD, is an auxiliary bishop of the Archdiocese of Detroit. He was born in San Luis Potosi, Mexico, and ordained to the priesthood in 1996 in San Antonio, Texas. After fulfilling several teaching and formation duties, he was ordained as the youngest bishop in the United States at age 41 in April of 2011. 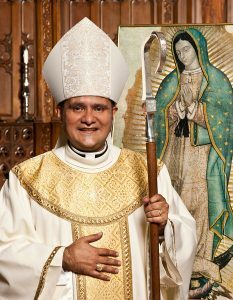 Bishop Cepeda is also the Vicar for the Youth and Hispanic Ministries in the Archdiocese of Detroit and serves as episcopal vicar and regional moderator for the Northwest Region of the archdiocese. His Excellency also serves as Episcopal Moderator for the Queen of the Americas Guild. Eduardo Verastegui will no longer be appearing at our conference. Karyme Lozano has been confirmed to speak in his place. We apologize for any inconvenience this may have caused. Karyme Lozano is one of the most prominent international television stars today, three times chosen as one of People in Español’s ’50 Most Beautiful People’. Her hugely successful soap operas have aired multiple times in numerous countries on every continent contributing to a fan base of over 100 million world-wide. Karyme is the only star simultaneously featured in a lead role in two prime-time soaps, El Manantial, and Niña Amada Mía, a unique event in Univision history. Karyme also co-starred in the Epic movie, For Greater Glory, playing the role of Doña María Sánchez del Río, mother of Blessed José Luis Sánchez del Rio. Karyme is also a diligent pro-life advocate and a founding board member of the Vida Initiative, a foundation geared to create and educate Latino Leaders in the Pro-Life Movement and has significantly helped many young women realize the value of the babies within their wombs. Karyme is a prolific speaker who is able to relate her faith in an understandable and relatable manner. Her experience of drifting from her faith followed by her journey home, in addition to the trials and tribulations she has encountered along the way as a result of being a disciple of Jesus makes her testimony extremely heartfelt and compelling. 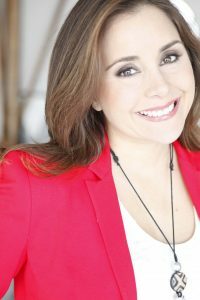 Karyme is an exceptionally inspiring speaker who naturally connects with everyone she encounters. Karyme recently wrote, produced and directed a Short Film entitled “The True Meaning of Love,” a reflection of a dying woman regarding a choice she made when she was young and the consequences of her decision. 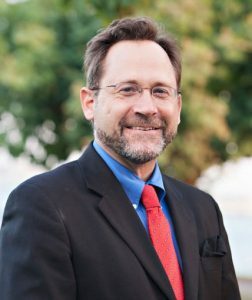 Christopher Check is President of Catholic Answers, the largest lay-run apologetics and evangelization organization in the English-speaking world, which works to deepen the faith of existing Catholics, lead former Catholics home, and guide non-Catholics to the fullness of the Truth. A graduate of Rice University, Chris served for nearly two decades as V.P. of the Rockford Institute. Prior to that, he served for seven years as a field artillery officer in the Marine Corps, attaining the grade of captain. His writings have appeared in many Catholic and secular publications and he has lectured widely to audiences at home and abroad. He is the creator and voice of The Lepanto Lectures, a series of audio recordings on glorious and tragic events in Church history. Chris and his wife have four sons. Marty Rotella will perform a special concert during the conference. Marty is a Grammy-nominated singer, songwriter and has appeared on EWTN, written, performed and produced many musical CD’s, docudramas and documentaries on a variety of religious subjects. Marty will also serve as our Master of Ceremonies.